Artists : David Allen, William Anastasi, Keith Arnatt, Robert Barry, Jason Dodge, Marcel Duchamp, Daniel Firman, Urs Fischer, Ceal Floyer, Luca Francesconi, Ryan Gander, Robert Gober, Sigurdur Gudmundsson, Christian Jankowski, Leopold Kessler, Joachim Koester, Alicija Kwade, Anna Maria Maiolino, Piero Manzoni, René Magritte, Tony Matelli, Georges Méliès, Adam McEwen, Robin Meier & André Gwerder, Jonathan Monk, Melvin Moti, Gianni Motti, Bruce Nauman, Fernando Ortega, Robert Overby, Charlotte Posenenske, Werner Reiterer, Hannah Rickards, Ugo Rondinone, Arcangelo Sassolino, Roman Signer, Paul Thek, Oscar Tuazon, Wolf Vostell, Ian Wilson and a seven hundred year old Bishop. 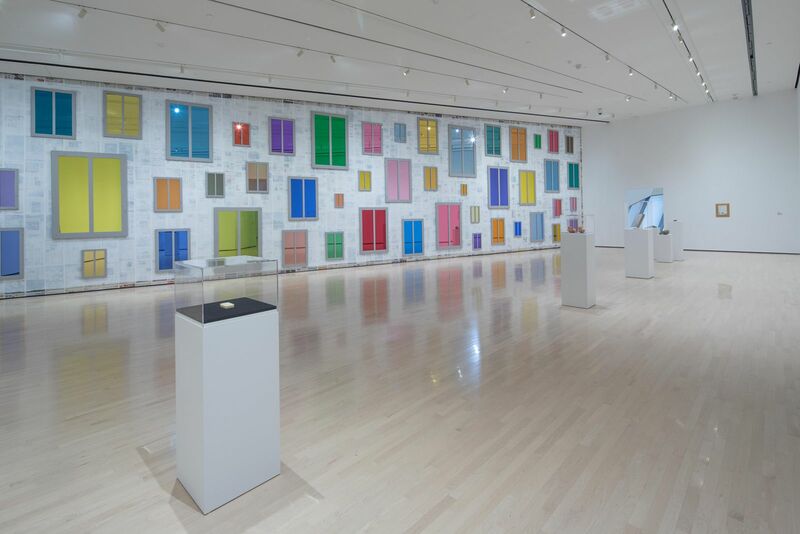 Vue d’installation de l’exposition « The Transported Man », Broad Art Museum - Michigan State University, East Lansing, USA, 2017. 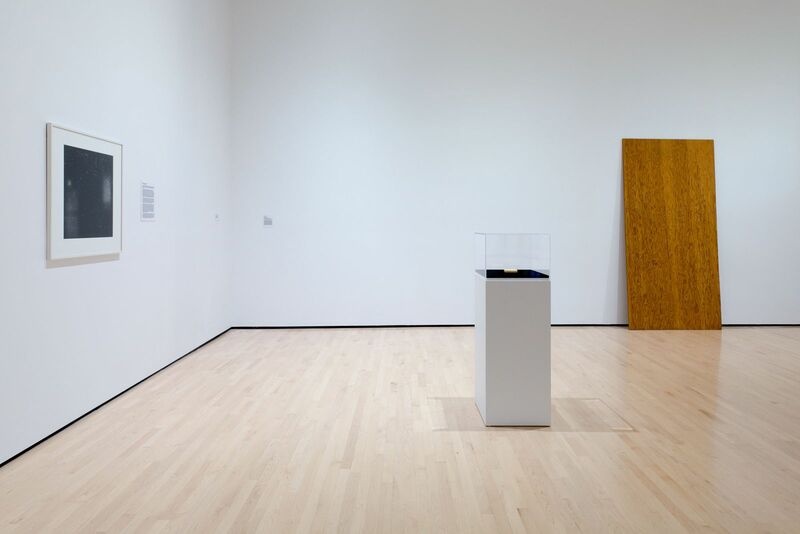 Installation view of the exhibition “The Transported Man”, Broad Art Museum - Michigan State University, East Lansing, USA, 2017. 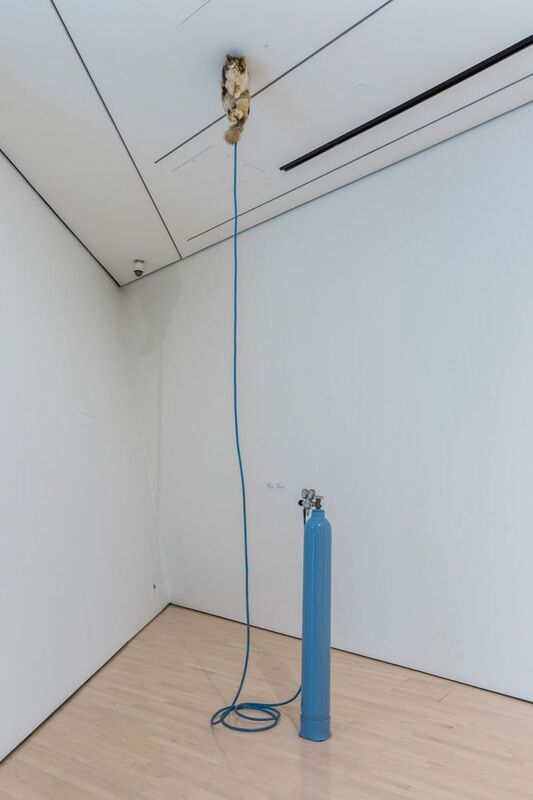 © Courtesy the Eli and Edythe Broad Art Museum at MSU.